The tiny mountain town of Floyd, Virginia has one traffic light. Only 500 people live here year-round. But there’s a festival atmosphere on Friday evenings, especially in summer. The Floyd Country Store is crowded with a few hundred people from out of town – well-dressed families with children, gray-haired senior citizens, motorcycle groups. They’re all here to listen and dance to live music. The store is a major stop on The Crooked Road, a twisting 480-kilometer long route across the Appalachian Mountains of southwestern Virginia, connecting venues where traditional mountain music is played. Woody Crenshaw bought the store five years ago, when the 20-year-old Friday Night Jamboree still attracted a mostly local crowd. 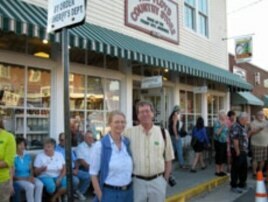 Woody and Jackie Crenshaw’s venue, The Floyd Country Store, is a major stop on The Crooked Road, Virginia’s heritage music trail. That was shortly after the state legislature designated U.S. Highway 8 – which runs through town – as part of Virginia’s new Heritage Music Trail. Economic development leaders believed people from around the world would come to southwestern Virginia, to hear the traditional music of Appalachia. They hoped the visitors would spend time driving along the ‘crooked road’ that snakes through the mountains, stopping at the places where authentic mountain music was born. Crenshaw says the vision has become reality. He estimates the Country Store brings between 20,000 and 25,000 visitors to Floyd each year. And those visitors spend money. “We’ve created somewhere around 20 to 25 new businesses in Floyd and somewhere in the neighborhood of 60 to 70 new jobs in those past few years,” says Crenshaw. 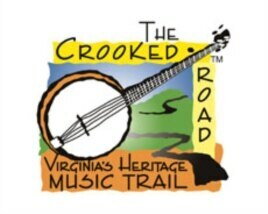 The Crooked Road, is a twisting 480-kilometer long route across the Appalachian Mountains of southwestern Virginia, that connects venues where traditional mountain music is played. Music has always been an important part of Appalachian culture but it was never seen as an economic asset. Instead, communities in this region depended on industries like coal mining, furniture making, textile manufacturing or growing tobacco to support the economy. But machines took over much of the manual labor and manufacturing went overseas. 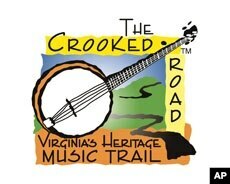 The Crooked Road is part of an effort to re-invent the economy by highlighting the region’s culture and heritage, parks, scenery and music. That music draws people to restaurants, and stores. And it brings in nearly $13 million a year to southwest Virginia. Jonathan Romeo, acting director of The Crooked Road, says Virginia’s Heritage Music Trail has created 500 jobs. People in other parts of the world will soon see and hear more about The Crooked Road, courtesy of a new website that goes online in a few months. It will several feature videos, including one of legendary Virginia musician Doctor Ralph Stanley, whose museum is a major venue on the trail. While other places may have cultural or historic trails, people in southwest Virginia say The Crooked Road is an economic engine with a rhythm all its own.